The SRM Origin Track Carbon Power Meter is the latest offering in SRM’s new Origin power meter line. With the Origin, you not only get SRM’s +/- 1.0% accuracy levels and unmatched consistency and durability, but also LOOK carbon crank arms. Weighing a mere 120 grams and featuring ultra-stiff carbon fiber, the LOOK carbon crank arms give the Origin a superior stiffness to weight ratio. In fact, the entire power meter weighs just 599 grams. In addition, the LOOK crank arms feature Trilobe Technology, which allows the crank arm to function in three lengths, 170 mm, 172.5 mm and 175 mm, simply by rotating the Trilobe pedal inserts. The Origin also offers near limitless compatibility with exchangeable 24 and 30 mm spindles, which means it can be used with virtually any frame on the market. 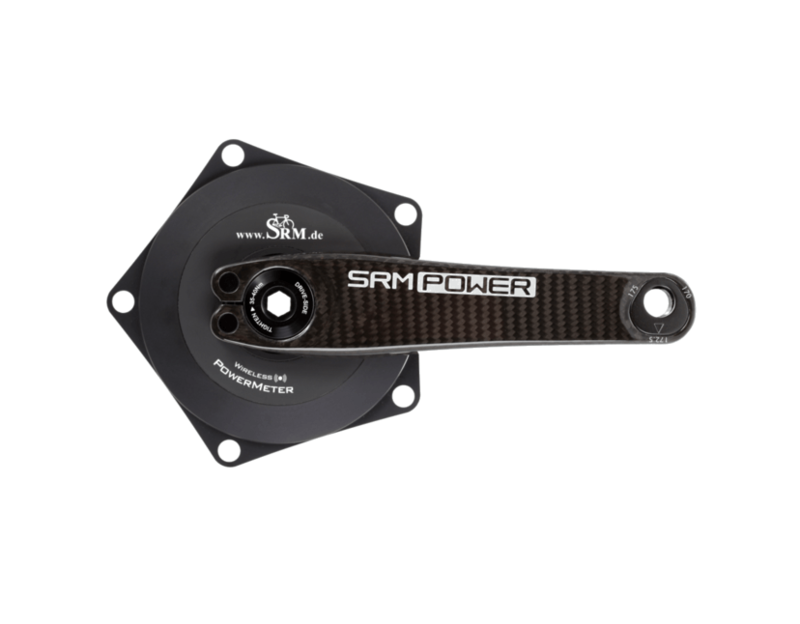 The SRM Origin Track Carbon Power Meter is available in either a standard or rechargeable battery and can be purchased as a power meter spider only, sans the LOOK crank arms. The SRM Origin Track Carbon Power Meter comes with either a 24 mm or 30 mm spindle. This allows you to use the Origin with virtually any frame on the market. If you have any specific questions on compatibility, please contact us and we would be happy to help.